So far I have had the HPD exhaust and the KN typhoon CAI installed. The exhaust was installed when I had new pads and rotors installed at the performance shop. The CAI was done by me. 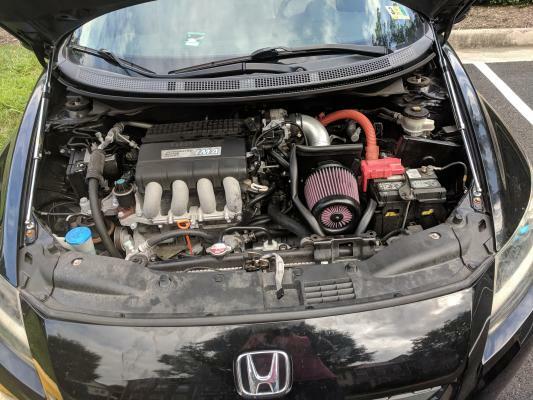 Was a HUGE pain to remove all of the old rubber hoses from the throttle body and the thermostat but other then that was a straightforward install. 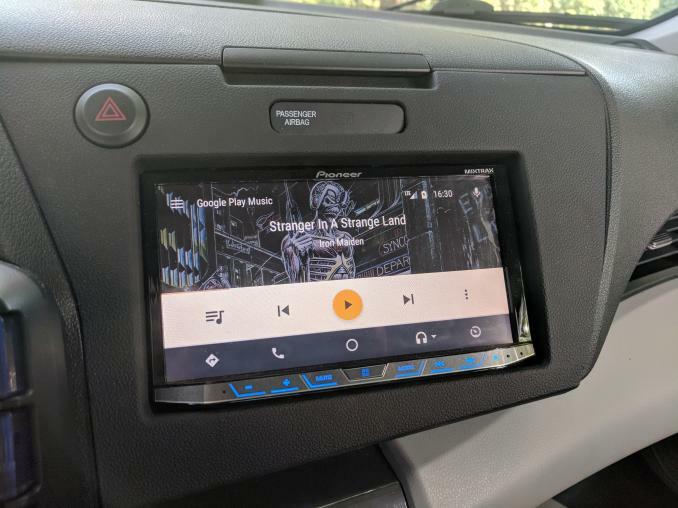 Will probably take 1-2 weeks of driving for the car to adjust since i also disconnected the negative battery terminal during the install. Probably saved about $250ish versus having a shop do the install. Also got my Hondata tuner in the other day and will have to play around with it. So far drive-ability is not an issue with the new intake. To anyone that attempts to install this intake you will definitely need the rubber caps as the thermostat connection will puke out coolant unless you plug it even on a cold car. The throttle body connection did not drain out much coolant. Sound is definitely better then stock. Quaestor Black, litz, Cat and 2 others like this. I'm not big into mods, but I also added the K&N and the HPD and I think it was money well spent. Between the look and the sound of the HPD exhaust, I'm sure most people would agree that it is worth the cost. It's hard to tell how much of a performance boost it provided, but it sure feels and sounds stronger and faster, so that alone was worth it to me. It makes a fun car even more fun to drive, especially in sport mode. Enjoy! Thanks. I've sorta neglected this car for a while and did most of my modding to my Mustang Ecoboost. I've been trying to keep this as a reliable daily driver however the itch to mod has gotten the best of me. These mods are just the beginning. 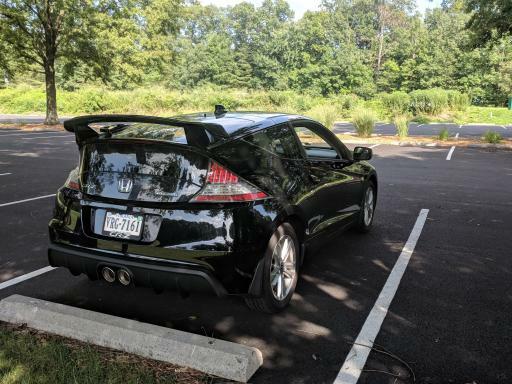 Uh, oh, I started out with a few mods--just two, actually--and thought that was all the extra stuff I was going to put on my CR-Z. Just Mugen suspension and catback exhaust. 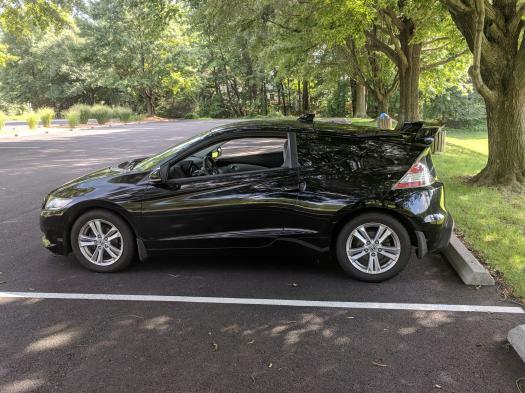 Not much more you can do with a CR-Z, right? 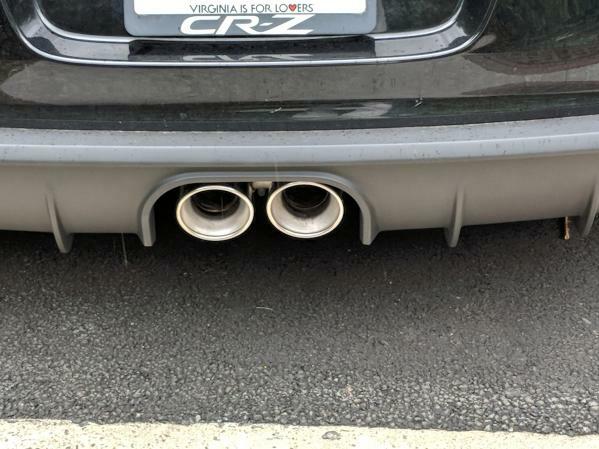 I like that center exhaust you've got--fits well with the car, and I think it should have come standard. Nice to see someone else starting up a Build Thread! 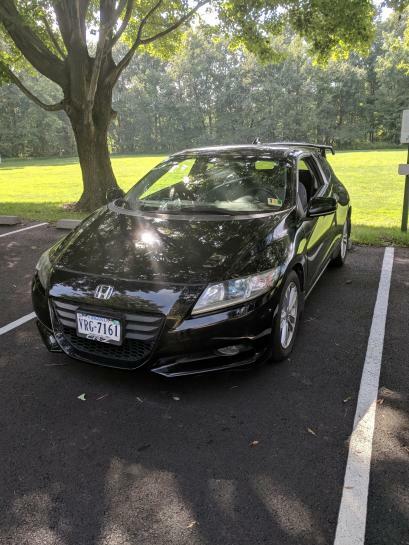 I just had a typhoon and spoon n1 with a tegiwa middle pipe installed to my CR-Z and normal/sports mode feel so much better. There is defiantly more at the top end now. Just another quick update on the car. Forgot to upload profile pics of the car. Here are some pics of the car with the Mugen style wing and the pioneer radio. Too bad Honda didn't put Android Auto and carplay in the 2016 CRZ or I would have traded in for that. I still need to put Clazzios on the seats. Someone had some nice ones with black leather and blue stitching and the CRZ emblem on the headrest. litz, Eddie70 and rye637 like this. Thinking of adding the Spoon Camshaft kit to ZOOM with the Spoon throttle body. Does anyone know if the camshaft kit will work with the CVT? I know that MPG's will take a hit since the car will run with two open valves instead of one open valve at low rpm. Tuning wise I will get a dyno tune with my Hondata. So for the next mod, I plan on doing the HPD suspension kit and a strut tower brace. I installed a Ford performance strut tower brace on the mustang and it makes the ride much stiffer around corners and turns. I'm looking for ways to improve the suspension and handing around turns and corners. The HPD suspension lowers the car about .5 inches and the cost is about $1050. 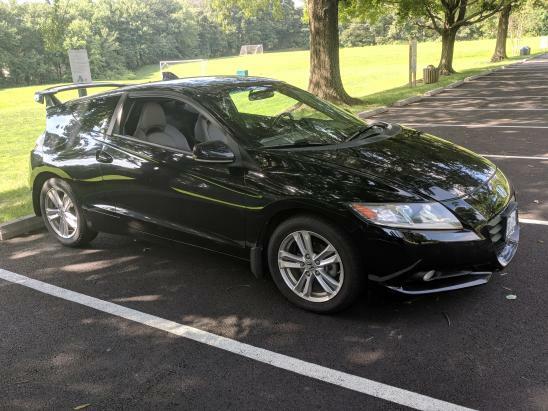 HPD suspension sounds like a good choice, but don't spend (waste) any money on the strut tower brace--no improvement to be found there, but DO get the Spoon front sway bar--it makes a magical difference. I have the Mugen suspension, Spoon FSB, and Beatrush PillowBall mounts as my FIRST mods, and that's a great combination. Oh, I just noticed you were looking into the Spoon throttle body, but you can save yourself about $900 if you have maxbore.com increase the bore on the OEM throttle body. I did that to my Sprintex/CVT set up, but I haven't seriously looked into the Spoon Cam yet, but I don't see any issue with using it in the CVT.